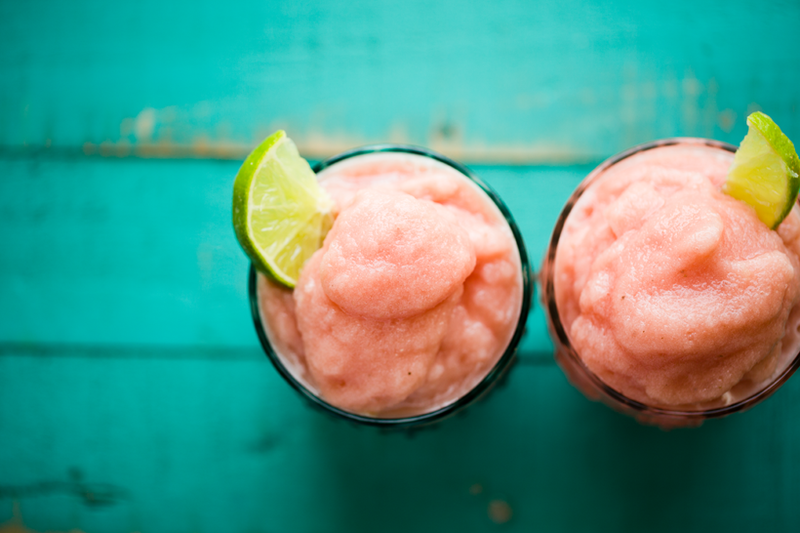 Watermelon 101: The Good. The Bad. The Ugly. There are many reasons to love this striped, green-rinded summer melon. 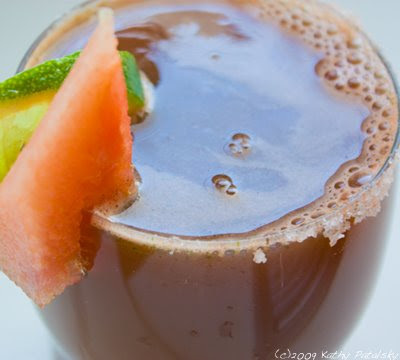 It is low in calories and incredibly hydrating. One cup of watermelon contains only 46 calories and about 20% RDA of vitamins A and C.
One cup also contains 5% RDA of potassium. 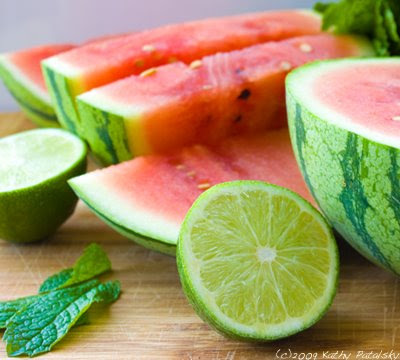 Watermelon is sweet, yet mild. Hydrating, yet big on chew appeal. Seedless watermelon is available and you can even find mini watermelons in an easy-to-carry round shape and smaller size. And really, watermelon is awesome because you can just dive into it and eat as much as you really want and not feel stuffed. Perfect on a hot summer day when you are thirsty, yet don't want to just chug some water. 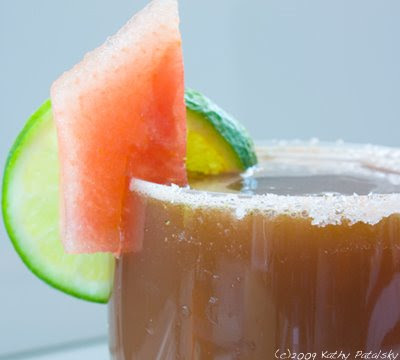 Dive into watermelon instead! Recipe Ideas. 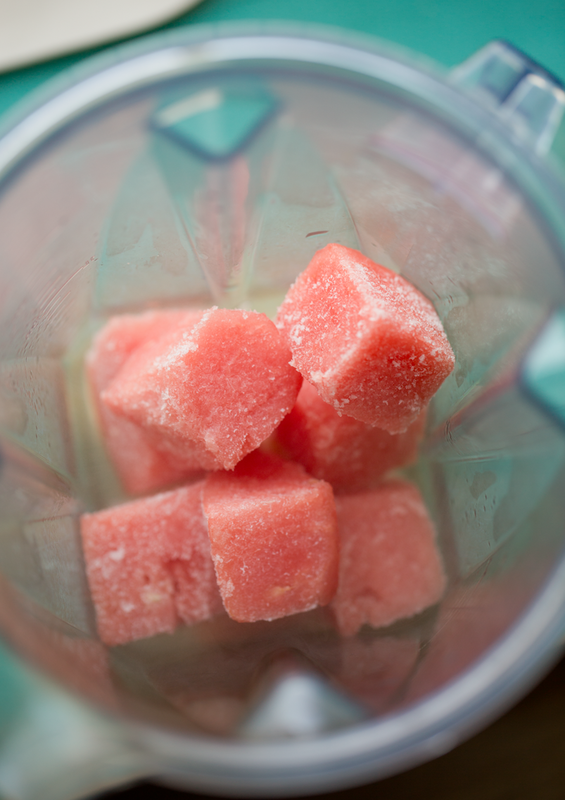 Watermelon tastes great plain, or chopped up in a summertime fruit salad. I love it frozen and then added to smoothie. My favorite is probably my watermelon frosty. You could even add a pinch of coconut sugar, salt and squeeze of lime, pinch of cayenne and you have a complex flavored snack or treat. Tips: When choosing a melon, knock on the rind with your fist. A hollow sounding knock means the inside is nice and firm-good sign. 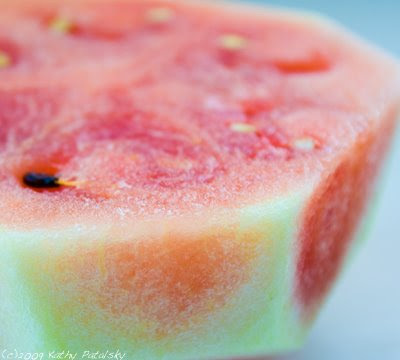 Never buy a watermelon with a soft rind or too-yellow color. There are a few not-so great things about watermelon. First, seeds can be a pain. 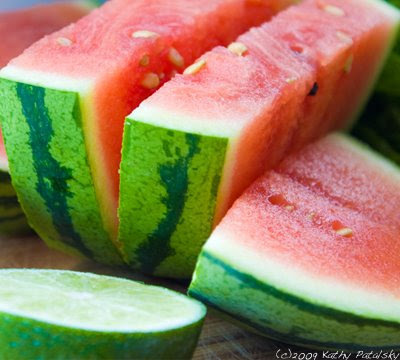 While seedless is available, sometimes the seedless varieties have less color and flavor. Secondly, watermelons can be huge! And heavy. And transporting the melon can be another pain. And lastly, flavor can be an issue. 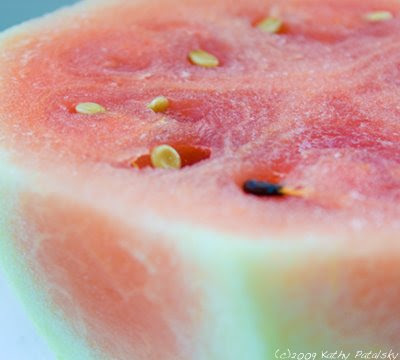 It is hard to tell if your melon will be perfectly crisp, bright red and sweet or bland, white and grainy. Juice ingredients and pour. It's OK, in my opinion. But the ugly color really kills it. I'm sticking to fresh melon...not juiced.